Khadijah al-Kubra رضي الله عنها born Khadijah bint Khuwalid was a modest, noble woman, business savvy female, single mother who became the first companion of the Prophet Muhammad ﷺ. A woman who received salams from al-Khaliq is engrossing and intriguing, at least to me. In a restricting society that had a poor view of women in general, she rose above all these society setbacks because she was loyal and a steadfast believer. Indeed, Allah ﷻ is with the sabarareen. She رضي الله عنها was also the only woman who gave the Prophet ﷺ children. While he ﷺ was married to her, he didn’t have any other wives. It’s only after she رضي الله عنها passed away that he ﷺ took other wives. There are so many lessons from her life we can take inspiration from. Today, if we just search Instagram and Etsy, we will see many muslimah home businesses thriving masha’Allah. Many have taken inspiration on this Mother of the Ummah. We must thank her, the first Mother of Believers for paving the way. Islam was the first movement to give women their rights and equal status to men but nowadays, the ummah is largely and unfortunately dominated by patriarchal societies which work day and night to clip the wings of Muslim women around the world. Why is that? They fear strong and independent women. In addition, many women have also been the enemies of women by failing their sons and raising entitled little brats who think women are their doormats. Furthermore, these women have also opposed (and still oppose) the success of working women and most of all, they shame them. May Allah help us raise exceptional men who will change the change quo. Aameen. May women also stop sabotaging their own gender, allahumma aameen. In the story, of Khadijah al-Kubra (radiallahu anhu), we can also learn to manage money better and not commit ishrafno matter what. I say this because I’m a business owner and my rizq was taken away and then given back alhamdullilah because I had not been frugal on every enterprise. Paying approximately $80 or exorbitant prices on the black market for the needy was indeed a noble gesture but it’s still waste. This waste bankrupted her and without trying to sully her memory, I believe it’s a subtle sign for us small business homemakers to reflect upon and not make the mistakes of our predecessors. We are all sinners after all and no Beloved of Allah is above that. May Allah forgive her and always be please with her رضي الله عنها . Aameen. The world doesn’t change, only norms do. In her رضي الله عنها time, single mothers were a catch masha’Allah. How did we get to shun them away in our current society? Shaytan perhaps is at play here so that these women become desperate and try to marry non-Muslims men or worse become indecent by starting dating and seeing men outside the holy matrimony of marriage. If men with their fixation of marrying only virgins or any other women who can serve their immigration or carnal needs strove to be model themselves after the beautiful example the Prophet ﷺ when it came to how to be an ideal Muslim man, they would contribute greatly to the social welfare that is the institution of marriage, they would do their part. She was the first lady imam. And if you are a mother, you have been an imam at least to your children. And many of these men children become and have become world leading and inspiring imams since the final message was revealed subhanallah. Muslim women have been the spiritual leaders for many centuries masha’Allah alhamdullilah. Allah has made women to be subtle like the moon when it’s appropriate and to be fiery as the sun when it’s appropriate. Khadijah al-Kubra رضي الله عنها was one very subtle educated woman because she learned directly from him ﷺ the religion she believed in even before she married him ﷺ . Perhaps some of her teachings flushed through her children, Fatima رضي الله عنها to be more precise. Allahu alim. Khadijah al-Kubra رضي الله عنها didn’t flaunt her knowledge to anyone nor did she flaunt or showoff her belongings for everyone to see and know. She kept it classy. If Allah had willed it, we would have learned many hadiths from her because she was married to the Messenger of Allah ﷺ for several years but He ﷻ blessed her in many other ways He didn’t blessed the other wives with; the first one being sending her special salams masha’Allah subhanallah. رضي الله عنها believed in the Prophet ﷺ with such a vigor that none of us could even match in this life. Many of us see men as deadbeats or losers. Khadijah al-Kubra رضي الله عنها didn’t put any limits on herself; whether it be in numbers like age or backward societies thinking that believed women to be less than equal to men or cattle and so forth. She رضي الله عنها was older than of the Prophet ﷺ and she still proposed. She had a flair for good business transactions such as the heed of the stranger not to hesitate to marry a righteous man called Ahmad for the benefit of the akhiret; a lucrative business transaction indeed if you ask me when it comes to endless bliss. She had always been a woman with a keen sense of success. Masha’Allah. Many people beat around the bush when opportunities come knocking instead of opening the door to take the blessing. Allah doesn’t burden a soul with more than he can handle! Many men wanted to marry Khadijah al-Kubra رضي الله عنها after she became a widow. She rose about her carnal needs and said no to them. She decided to give her all to raise her children. Besides, she didn’t think any of these men were fit men to wed. And because she didn’t compromise or settle for lousy and mediocre suitors, she was blessed with the best man to walk the earth masha’Allah alhamdullilah. Khadijah al-Kubra رضي الله عنها gave her riches for the sake of Allah without thinking it would bankrupt her. She spent without reserve to advance the religion. How many of us can do that today without “our generosity” getting into our heads or our nafs getting in the way? How many of us are willing to sacrifice this much and leave our children without a will? Her daughter Fatima رضي الله عنها had one of the toughest life recorded in the history of the ummah. Subhanallah. “Behind a great man, there is always a great woman,” the saying goes. People are forgetting their manners by not saying thank you. While not working for a “thank you” is better, people have become rude. If you can’t thank people, you haven’t thanked Allah. He ﷺ was always grateful that Khadijah al-Kubra رضي الله عنها believed and supported Him ﷺ. You help people today, they think they have arrived. They deny the favors their Lord bestowed upon them via other humans. Don’t twist my words and say I’m associating humans to Allah. But wait, it’s their scroll of deeds, and they should fill it with whatever they wish. Also, everybody and their mothers, excuse my language, today is “a public figure” on social media. We hate being eclipsed by the success of others. We envy people without making duato ask Allah to remove that jealousy from our hearts. We disregard the notion of rizq. Everywhere there is fitna and people only faking it until they make it with their number of followers without realizing that it borders on shirk if we really think about it. The only Evident yet Hidden is Allah and many of us seem to forget it. We appoint ourselves lofty titles knowing full well that we are only fooling ourselves. Man as vicegerent has taken too many liberties, astaghfrirullah. Allahu alim. We seem to forget that if we make Allah ﷻ the true spotlight, He will always shine the light upon us, and we will naturally prosper by His ﷻ will insha’Allah. We should strive to give dawah, live a good life with the proceeds by always putting the spotlight on al-Khaliq via our works and without trying to make everything about ourselves. That’s called narcissism. Above all, if as women and men we feel like we are business oriented, we must be entrepreneur leaders who pay their workers well, individuals with a remarkable business flair when it comes to this life and the next without crossing the greed line. We must remain loyal, steadfast in faith, trendsetters and most of all, dependable. For fifteen years and more, the Prophet ﷺ depended on her رضي الله عنها and she depended on him and his teachings to secure a safe akhiret. Masha’Allah. My Muslim Mums in Business series focus’s on inspirational Muslim women, who are balancing the art of motherhood along with running businesses. Please introduce yourself and your business. I go under the pen name of Papatia Feauxzar; a name that embodies my Ivorian and Turkish heritage. I’m now a naturalized American citizen alhamdullilah. 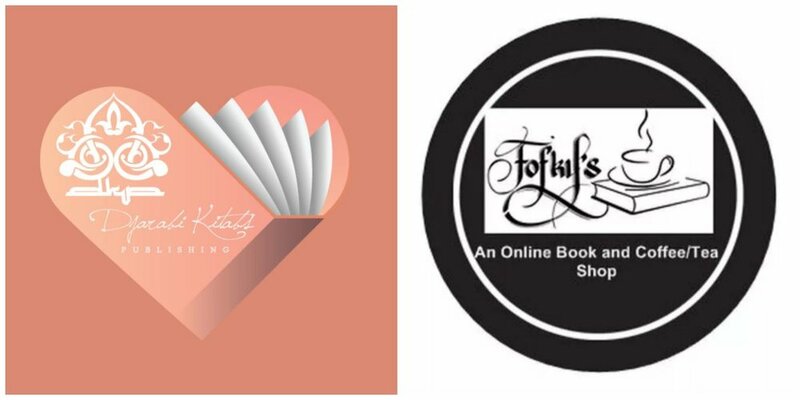 Djarabi Kitabs Publishing and Fofky’s are my home businesses. They both compliment each other; one being a publishing house and the other being a bookstore alhamdullilah. The goal is help make quality Muslim contributions seen and curate our Islamic History and contribution to the world. What inspired you to start working from home? Did anyone in particular inspire you? Many things did. Islamophobia was one aspect of it and I wanted to homeschool my son. I also wanted to witness all his firsts. Nobody in particular inspired me; Allah did. I decided to make the change I wanted to see when I saw many Muslim writers complain about the erasure and lack of support they faced. Finally, I have always wanted to be a writer and a female scholar. So, I’m doing my part to see these dreams to come life insha’Allah. Is your family supportive of you being a working mother? Yes, they are now. It was with a lot of conflict and keeping my grounds though. Alhamdullilah ala kulli haal. What are the main challenges you face as a mum and an entrepreneur? My main challenge is to force myself to enjoy my personal time and my family. One should always cherish one’s family first and before everything. Tomorrow is not guaranteed, and I’m glad I didn’t learn that the hard way or lived to regret not giving them the attention they deserve. Keeping my stress levels low too are also a challenge but with dua, I manage to obtain sakinah of mind, body, and soul through constant dhikr and listening to the Quran. Describe a typical working day. Are there specific times in the day that you work on your business? You have a number of businesses/projects running together. Does it all sometimes become a bit overwhelming trying to manage them all. A typical day starts after tahajud. Often times, it’s hard for me to sleep until after fajr prayer when I pray it. But on days I don’t pray tahajud, the day starts after fajr. I look at my list of things to do and start planning mentally. I get my son and my husband out of the way by attending to their needs. Then, I start cooking, cleaning, checking emails while listening to the Quran. By noon, I’m usually done with my chores and to-do list of things set for the day. I do all this while interacting with my son and checking on him periodically as he plays or teach him a couple things here and there. I also teach him new words, manners, I hug him, I kiss him or I scold him nicely if he is being naughty. Then, we pray and get ready to go outside so he can get another kind of interaction; children’s play. I do dhikr while he plays with other children. I’m more productive with my remembrance of Allah when he plays. I understood that children’s play actually is a blessing on Moms to help them relax. So, I take fully advantage of my child’s plays. We both benefit from this activity alhamdullilah. While we are out, I also run errands, mail packages, etc. When we return, he eats and naps, and I pray. I get dinner ready and when the hubby gets home, I get to perform some self-care and/or complete more things on my to-do list alhamdullilah. All this seems overwhelming at times but I calm down and do one thing at a time while supplicating and before I know it, I have had a productive day alhamdullilah. What are the pros and cons about being a working mum from home? Cons: It’s more than a full-time job. It can be stressful just thinking about it. Pros: It’s rewarding and you realize that there is ease with hardship. I witness so much by raising my son myself. I have become a little more grateful for any small to big blessings bestowed upon me and us. I have learned not to take anything for granted. On your toughest days, what helps keep you motivated? Filling my book of deeds with good deeds always keeps me motivated. I try not to loose sight of Jannah al-Firdaus. I’m not saying all this to come off holier than anyone or calmer than anyone. I say this because it has taken me a lot of practice and a lot of patience to reach this level of self-motivation. Having said that, bad moments in a day happen, and I try not to capitalize on them. I let them go and refocus on positivity alhamdullilah. Where would you like to see your business in the future? I would like it to be seen as an accredited House of Wisdom type of historic contribution insha’Allah. What advice would you give to mums considering taking the step of being a working mum? Children are the joy in the journey. Children are the comfort to the stress you will face as a working mom. Embrace the challenge. Working moms can do it and Allah didn’t burden us. He knew we can handle the load with true dedication to a well-balanced lifestyle. Let’s be Khadijah al-Kubra radiallahu anhu; business-savvy woman in a tough and restricting society, modest, knowledgeable, respected, mother of believers, garment to a spouse, and all the great things she is known to have done or been insha’Allah. Age was just a number. If you are a Muslim mum with a business and would like to feature then drop me a message in sha Allah. “A woman shouldn’t work!” is what you hear a lot from some Muslim men. The truth is Allah has not asked a woman to work but if she wants to, it’s her choice to do so. She’s the responsibility of the men of her family if unmarried. However, norms have changed today and betting on that sole rule results in total domestic abuse in many cases because such women have no penny to their name and depend on them. How many of us working Muslimah face the challenging dilemma of quitting one’s job to raise a family someday? The answer is many of us do. This subject is very crucial in the married lives of many Muslim women who just started a successful career. Our parents sent us to school, spent thousands and thousands of dollars to educate us. We also spent a lot of money on our education if you were student worker like many Muslim girls. All this hassle, to end up being in a sandwich situation where the husbands want a stay home wife on one hand and our families and ego wanting us to be career women on the other hand. The truth is if our parents wanted us to stay home, they wouldn’t have invested a lot of money in our education. They would have yanked us from secular institutions the moment they knew we could read and write. Then, they would wait for the perfect husband to come ask for your hand like many Muslim families do around the world. There is nothing wrong with that if all parties involved here are in agreements with this treatment. Furthermore, as many Muslim men request that their wives stay home to care of their babies to avoid daycare costs and its horror stories for the child to have a proper Sunnahupbringing instilled by the mother. There is a double edge sword or billion dollar question to be asked here. That is, if all your women are ‘stay home wifeys’ who is going to be the female Doctor (Dentist, Family practice, Gynecologist, etc.) that is going to examine her like you wish? Who is going to be that female TSA or police agent that is going to pat her down when there is an issue at hand? Who is going to that teacher you only want her to interact with to avoid Fitnah? I completely agree with the fact that we shouldn’t put ourselves in conditions that would compromise our good behavior and so forth but it all boils down to self-control, trust, and faith. Where I grew up, Muslim women work and have maids to help them with chores around the house. As Muslim women, we are allowed to have a help. There are things they let the help do and there are things they specifically do for their husbands as soon as they get off work. They change, clean up, and hop in the kitchen to add the final touch. However, this also comes with its share of issues if the man has no self-control and start messing around with the help or the female relatives of his wife he’s no mahram to. That’s why many women juggle work, housework, and married life and strive to find a perfect balance between all of these. Now, don’t think I’m against being a stay home wife because I have entertained the idea for a while now. There are advantages to this as if your husband can provide for you, your family, and his family, you are set! However, if you leave your good paying job and have to re-invent yourself and scramble to become a business woman in another field from home, you will be facing harsh realities. Soliciting clients is very hard to do, and it requires a lot of time, effort, sales and marketing skills. Things not everybody possess. – Pray Allah (subhanahu wata ala) for an answer. He will guide you and your husband to the right solution for your special case insha’Allah. – Sit down with your spouse and talk about the opportunity costs here if you stay in your job or leave the job. And always communicate like adults (calmly and without tantrum, don’t let it escalate into an argument). If you have to keep your job, make sure your marriage will not go down the drain as a result. If you decide to stay home, I can tell you for a fact that it will be a shock at first because you’ll be bored at some point and miss your job. You may even feel worthless and a spending machine while your husband is earning the living for you. If this issue plays a role in the happiness of your marriage life, seek counseling advice. I took a class before marriage because we would get a discount on the marriage license fee and the moderator talked about the success that a certain method provided for couples with this issue. The method was simply the husband paying the wife for the work she did in the home like the picture suggests she is worth but let’s be honest, your husband is not going to give you 100k+ for your services *winking smiley*! If only the stay home wifey made what she was supposed to earn! I admire all of you sisters out there who are stay home wifeys. You are much appreciated in my books. Originally published at www.papatia.wordpress.com and Hayatimagazine.com .